When we celebrate our birthday, birthday cakes also include candles that we have to blow out after we make a wish. A birthday celebration was also celebrated by the proud father of six children, who had a real miracle with his wife back in 2015. In the 28th week of pregnancy, his wife Danielle Busby went through a caesarean section, and the three-member family turned into eight-member after the birth! 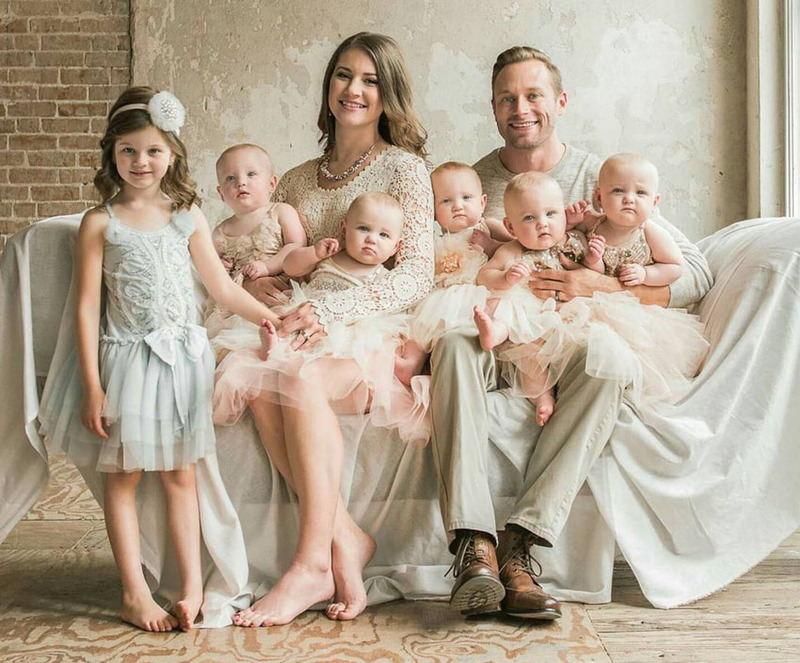 The Busby family had a real miracle, as Danielle gave birth to five healthy girls. This is supposed to be the second birth of the quintuplets after 1969. At that time, the five babies came to the world in London. A year after the miracle birth, the family posted a video on the internet, in which a proud dad celebrated his birthday in a company of girls. His wife prepared candles, and then he blew them off infront of the little ones. When you see the reaction of little girls, you will surely laugh yourself at the scene!